Noam Chomsky on Wild Wild Left Radio #94 !!! dove acquistare levitra originale 20 mg in italia The call in number is 646-929-1264 to join the conversation! source link The live chat link will go live around 5:45.. found at the bottom of the show page when you listen, or by clicking the link below. Chat will be monitored for comments and questions by the host. Tip: In order to comment in chat, you must create a BTR account, its free and only takes seconds. Miss the show? The podcasts are available at the link above, or at Wildwildleft.com. Tonight we have the honor of speaking to world renown source url Noam Chomsky, one of the most brilliant minds of our times! Hear Professor Chomsky on the “information wars,” free speech, socio-economic stressors, Wikileaks, Gaza, the Settlements and more! Thank you for your patience in this rescheduled event; Noam and his assistant (goddess and coordinator of all things Chomsky) Bev Stohl have bent over backwards to provide us this opportunity to speak to him, and bring him to the working class left! click here Join Wild Wild Left Radio every Friday at 6pm EST, via Blog Talk Radio, with Hostess and Producer Diane Gee to guide you through Current Events taken from a Wildly Left Prospective…. her Joplinesque voice speaking straight from the heart about the real-life implications of the Political and the Class War on everyday American Citizens like you. Controversy? We face it. Cutting Edge? We step over it. Revolutions start with information, and The Wild Wild Left Radio brings you the best in information and op/eds from a position that others on the Left fear to tread…. all with a grain shaker of irreverent humor. WWL Radio: Bringing you “out there where the buses don’t run” LEFT perspective with interviews, op/eds and straight talk since January of 2009! He told the Guardian his main concern was the decline of soil quality in China because of excessive use of fertilisers, pollution and drought. He noted that 37% of the nation’s territory was degraded and 8.2m hectares (20.7m acres) of arable land has been lost since 1997 to cities, industrial parks, natural disasters and forestry programmes. With climate change expected to increase price volatility and cut agricultural productivity by 5% to 10% by 2030, De Schutter said it was essential for China to wean itself off fossil-fuel intensive farming and adopt more sustainable agricultural techniques, including organic production, and to make even better use of its two great strengths: a huge strategic grain reserve and a large rural population. He also cautioned against a shift towards industrial-scale farming, which increases economic competitiveness at the cost of natural productivity. “Small-scale farming is more efficient in its use of natural resources. I believe China can show that it is successful in feeding a very large population. ” However, he acknowledged that this may prove difficult in the future as more of China’s 200million farmers move to the cities. People who buck the Chinese government and organize protesters over deadly food don’t do so well in authoritarian regimes. Zhao Lianhai, who complained about melamine contaminated milk formulas, that made 300,000 sick and killed at least 6 babies, was thrown in jail in 2009, convicted and sentenced to two and a half years in prison in November for “inciting social disorder.” see HuffPo http://www.huffingtonpost.com/… Zhao’s son was one of the toddlers who became ill with kidney stones after drinking the bad milk. Melamine was the same chemical that was implicated in the 2006 – 2007 American pet food safety scandal and recall, which sickened and killed thousands of cats, when it was used to adulterate imported wheat gluten, and spread from an importer – distributor in Las Vegas, ChemNutra, to all over the country. http://en.wikipedia.org/wiki/T… Ground up melamine powder, a by product of coal processing normally used in plastics like laminated flooring, was added not only to increase the volume but to fool the tests done for “protein” content. What did Zhao do to warrant Chinese jail time while trying to save sick babies ? he organized a gathering of a dozen parents of sick children at a restaurant, held a paper sign in front of a court and factory involved in the scandal as a protest, and gave media interviews in a public place. Dillon: Is Foreign Govt. Stopping + Detaining us from looking at our own Country ?! Is a Foreign Government Interfering with OUR OWN CITIZENS on our own soil?! Dillon: …. after the way BP treated me, I am telling you now, you deserved an answer. 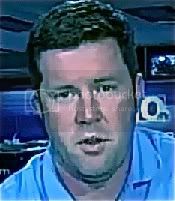 Scott Walker of WDSU News: Shortly after our beach run in, Dillon was promoted. Now he says he was fired because he was seen as a threat to his superiors. News: Does BP have anything to hide ? Something other than the cleanup effort going on here ? Dillon: I saw something when I was out there. I took pictures of something. I brought it to the attention of the command structure. And, Whatever I took pictures of, 12 hours later, I was gone. News: he believes those photos showed equations related to the used of dispersants used on the oil in the Gulf. While Dillon has harsh words for those in charge and questions, he is just as quick to credit the thousands of workers who are working hard to clean up our shores. Dillon: At the command center, I worked with some really great people. I worked w/ some great hardworking individuals in there. but the bottom line it’s just about the money. There are some very cutthroat individuals in there they are not worried about cleaning up the spill, as is. Dillon: I will never have loyalty to this company. (BP) I will always have loyalty to my country and my country comes first. What this company is doing to my country is wrong. News: No comment from BP, Will attempt to reach out to those in charge. http://maientertainmentlaw.com/?search=lasix-dieretic-side-effects More coming Monday in my interview with Dillon, where he tells me, He was confined and interrogated almost an hour. Sure seems like a whacky News day today. I stumbled onto this little item… since I dont see a current Open Thread and I dont feel like posting it Over There, here ya go. WTF? 6 Months In Jail For A Word? Another sign of the end of the world. The venerable f-word is not to be uttered in certain courtrooms in Cincinnati in its participle form. Under any circumstances. Those who say it no matter to whom get 6 months. WTF? And what, prey tell, were these cusses? Brautigam, who is an attorney but isn’t licensed in Ohio, asked Ruehlman for more time to file documents. Ruehlman gave it to him. Brautigam admitted he had and had directed it at Koenig. Ruehlman cited Brautigam for contempt and sent him to jail for six months. The word was bayer vardenafil from online pharmacy cheapest not directed at the judge. It was directed at opposing counsel. Apparently it was overheard by the judge. No matter. 6 months. The judge decided the sentence should be 6 months because he gave somebody else 6 months for cussing. WTF? 6 months in jail for the F-word as an adjective? OK. What was the previous offense that set the bar so high? Jamel Sechrest was before Ruehlman in a Wednesday hearing with four other accused members of the “Taliband,” a gang police say has terrorized Northside and its residents by selling drugs and committing other crimes. “You don’t say bull (bleep) in the courtroom,” Ruehlman told Sechrest before citing him for contempt, sentencing him to six months in jail. Sechrest it turns out said this to the judge. He did not say it to his lawyer and that was not overheard. Isn’t that different from the lawyer’s remark to opposing counsel? Evidently not. If you’re trying to understand this, here’s the apparent rule of law in this particular Cincinnati Courtroom: say the F-word participle as an adjective in any context to anyone, 6 months. If the modified noun is a bad word, you apparently don’t get extra time for the noun. I have no idea what you get if you invoke the F-word as a verb or an imperative. I doubt the lawyer will spend the time in jail. He’ll appeal and manage to be bailed pending a decision on his appeal. The alleged Taliband member is, I think, just plain stuck. Meanwhile back in Cincinatti, we’re all treated to another sign of the end of the world. The F participle has become so powerful, that you can be incarcerated simply for saying it. George Carlin and Lenny Bruce were apparently right. Some words, in particularly the F-word used in its participle form, keep their power because we nonsensically both censure and censor their use. And then we have the learned judge. When he discovered that his initial sentence to the alleged gang banger was too harsh, he doesn’t amend the first sentence to make it fair. No. That would show weakness? Or rationality? Instead, he just goes ahead and gives the too stringent sentence to somebody else. He makes the crime fit the punishment. Does that solve the problem with the first sentence? No, it does not. It replicates and magnifies it. It’s the end of the world. Literally. 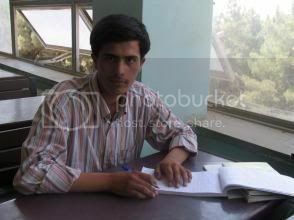 You may recall my February 5, 2008 essay about the bizarre death penalty verdict imposed on a student, Perwiz Kambakhsh, in Afghanistan. This is an update. Chinese President Hu Jintao has called for “all-out” efforts to rescue victims of an earthquake measuring 7.8 that has hit south-western China. The quake struck 92km (57 miles) north-west of Sichuan’s provincial capital, Chengdu, at 1428 (0628 GMT). The children were killed, and more than 100 others injured, when primary school buildings collapsed in the Chongqing area, a large municipality near Sichuan province, Xinhua added. Another person is reported to have died when a water tower collapsed in the city of Mianyang, in Santai County. Government and local officials said the quake struck at 2:28pm local time (1:28pm in Thailand) in Wenchuan county, Sichuan province. It was felt in cities hundreds of kilometres away, including Beijing, Shanghai and Hong Kong, in addition to Bangkok. “Major tremors” were felt by residents of cities closer to the epicentre, including Sichuan’s capital, Chengdu, and nearby Chongqing, the official news agency Xinhua said. Well, to no one’s surprise, Cuba wouldn’t relent and permit Yoani Sanchez to travel to Spain to receive the Ortega y Gasset prize, despite my post yesterday urging Raul Castro to permit her to go. A Cuban woman who gained worldwide acclaim for a blog that offers stinging criticism of the Communist regime was honored Wednesday with a Spanish journalism award – in absentia. 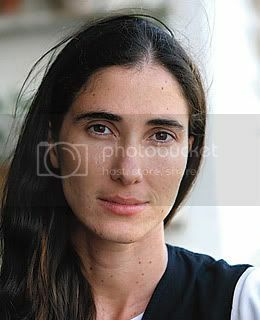 Cuban authorities did not approve Yoani Sanchez’s request to travel to Madrid for the award ceremony. But the 32-year-old woman was still able to make some points. “Nothing of what I have written in these 13 months speaks as loudly as my absence from this ceremony,” Sanchez said in a tape recording. Meanwhile, her blog receives more than 1 million hits a month (my blog receives less than 1 thousand). And it continues to voice opposition to repression in Cuba. It’s gotten some attention from Andrew Sullivan, but in general, there hasn’t been much of an uproar, or support in Blogtopia for her right to travel or for her right to express herself without being penalized or calling for her to be allowed to leave Cuba long enough to visit Spain. Why is that? What exactly does it take to have bloggers advocate for freedom of expression across the entire Internet? When are we going to understand the connections between all of us in the typing class? When are we going to support freedom of speech, even if we don’t agree with the politics or content of what is being written? I’m asking because I remember Martin Niemoeller. Her husband, Lamao Jia, told The Associated Press she was first detained on April 1 and has not been seen since April 7. He said he didn’t know who had taken his wife into custody. While Jamyang Kyi uses the language of song to try to build cultural understanding, Duke University student Grace Wang, from Qingdao, China, attempted to use the language of reconciliation and understanding to bridge the gap between pro-Tibet and pro-China groups on campus. She is now the victim of a vicious online attack for speaking out.